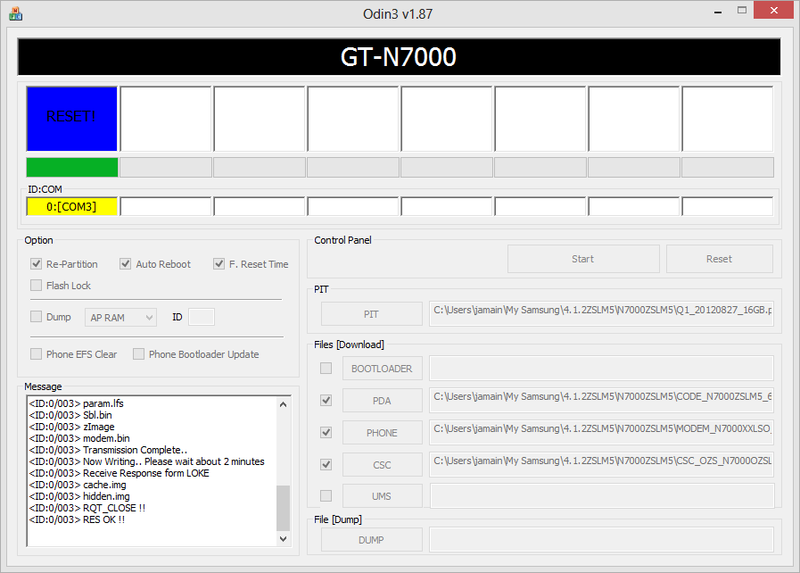 New Firmware Jelly Bean Android 4.1.2 Hong Kong N7000ZSLM5 for Galaxy Note. Build on 24 January 2013. Download N7000ZSLM5 here. Click on the right button to download. Password required to unzip it. Files that you should have. Look at the file size. -This is STOCK and NO root. -It will WIPE all your existing apps and setting. BACKUP before flash! How to Install via PC ODIN? 4. Follow screen below for the setting. Click on [Start]. Sit back and relax. 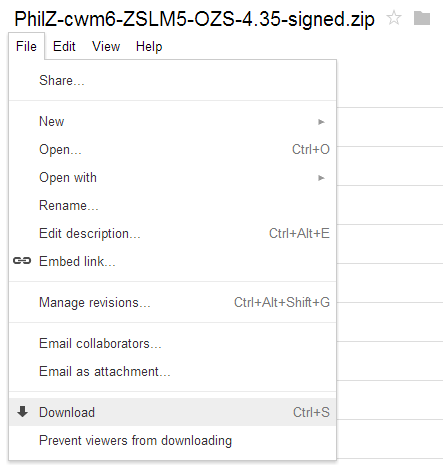 Load PhilZ-cwm6-ZSLM5-OZS-4.35-signed.zip (Google Doc) in Stock Recovery to get you ROOT back. 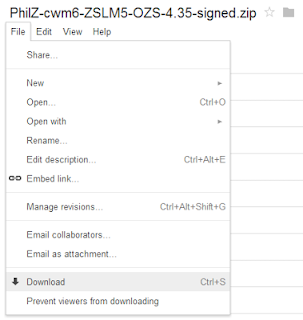 This is how to download from Google Doc. You might not see the menu if view on mobile. Note: Provided currently you are ROOTED. Kalau aku punya note ICS DXLR5+Root, boleh ke proceed to flash JB LM5 ni? Takut kena brick bug nnti.. Yes. You can. PC Odin works just like at service center. It should load latest firmware without any problem. Ok bro...finally upgrade to JB.. TQ!!! It will WIPE your apps and setting. Its not incremental. 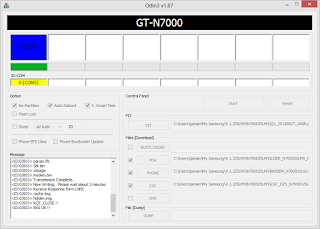 bro JJ, aku sekarang DXLR1 + root and speedmod kernel. boleh tak aku terus flash guna mobile odin? TQ. Ambil yg baru la xxlsz. Pc odin base. What do you need for your Galaxy Note?